Stamp Issues List - It's FREE! "Cyprus 100 Club" members get Continuous Discounts with every purchase on Cyprus Stamps website. Due to changes in PayPal regulations, please see our Shipping, Returns, Privacy page or Order FAQs page for more information on how to place and pay for your order. Choose Standard Postage or Registered Mail in the Shopping Basket. 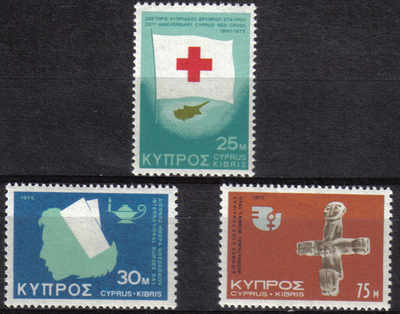 The Specialist website for Cyprus & Turkish Cypriot stamps, First Day Covers, Postal History & Philatelic items. Buy Complete Sets, Single Stamps, FDCs, Booklets, Year Packs, New Issues and more.